Plastic Cards are a great way to market your business! They offer thousands of practical and promotional applications. 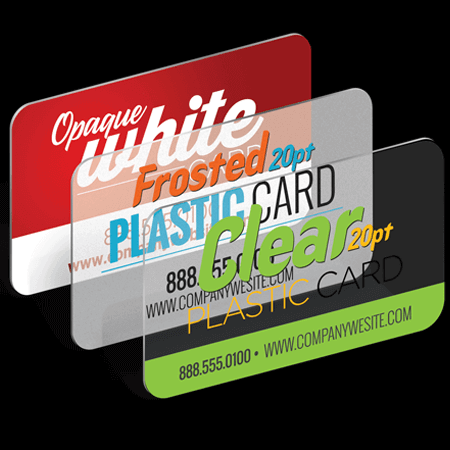 Plastic Cards are very durable and printed on 20PT Plastic Opaque White, Frosted, and Clear stocks. Please Note: Frosted, and Clear stocks are full color one side and come in quantities of 500 & 1,000.